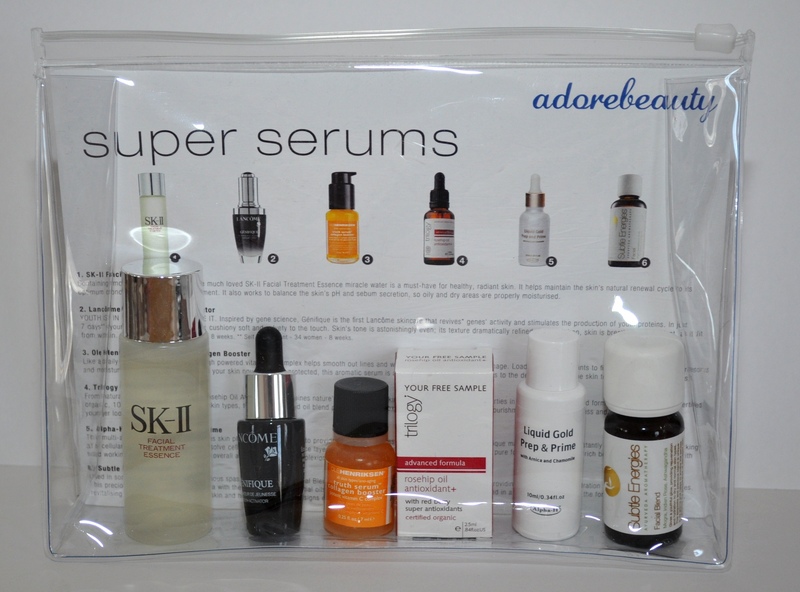 Adorebeauty.com has just released a Serum Sampler pack and I jumped at the chance to test it out because I’ve become addicted to serums in a big way in these last few months. The pack contains 6 different serums and costs only $29! The price is what got me the most excited when I heard about the pack because serums are so expensive. I was really interested in 4 of the included serums and it was actually kind of bad timing in a way when I received the email about this pack because I’d just ordered the full sized versions of three them in the last 2 weeks. I only received this a few days ago so I haven’t had the chance to test everything out and won’t be giving review on each serum but I will show you what’s included and what each serum is meant to do and how to use it. You’re meant to use it twice a day, morning and night. After cleansing you gently pat your face and neck using a cotton pad soaked with Facial Treatment Essence and it’s also recommended for use on the eye area. I’ve tried it a few times now and I like it. It’s very gentle on the skin and seems like a great toning product. This is one of the items I purchased a full size bottle of. 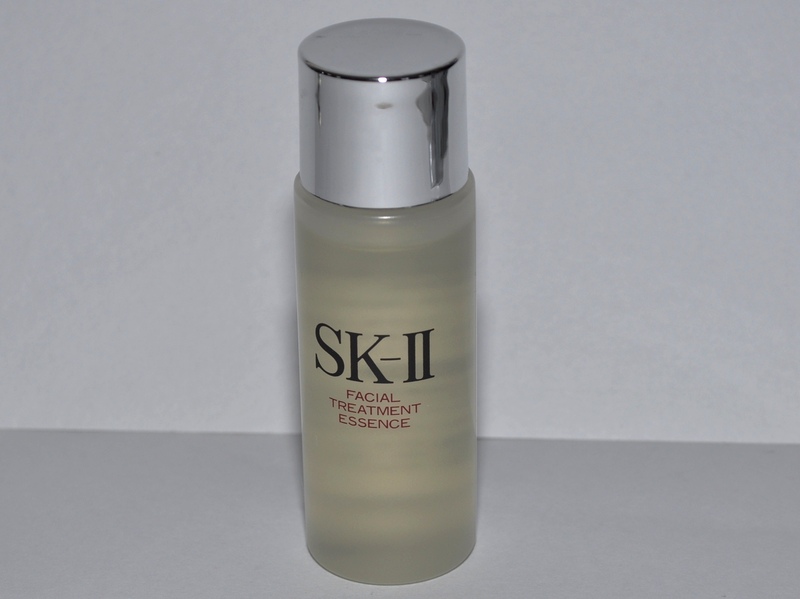 Our first skincare that boosts the activity of genes1 and stimulates the production of youth proteins2. A true skincare innovation with 7 worldwide patents pending, Génifique is the foundation of every woman’s skincare at any age or for any skin concern. 2Clinical study on skin proteins associated with young skin – France. Visibly younger skin in just 7 days. Skin looks as if lit from within – breathtaking radiant. Its youthful quality returns: cushiony soft and velvety to the touch. Drop by drop, skin is vibrant with youth, its tone becomes astonishingly even, its texture dramatically refined. 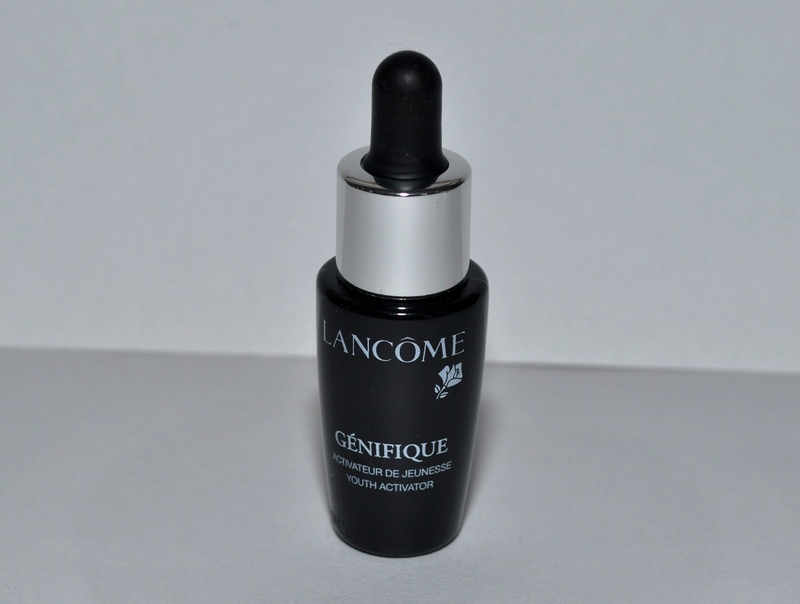 2 to 3 drops of this serum is supposed to be applied to the skin after cleansing and toning both morning and night. I haven’t actually tried this one yet so all I can tell you so far is that the bottle it comes in is really cute! Like a daily vitamin for your face, this high powered vitamin C complex helps smooth out lines and wrinkles and prevents further damage. Loaded with antioxidants to fight off environmental aggressors and moisture-binding ingredients to keep your skin nourished and protected, this aromatic serum is absorbed instantly and penetrates to the deeper layers of the skin to provide long term results. 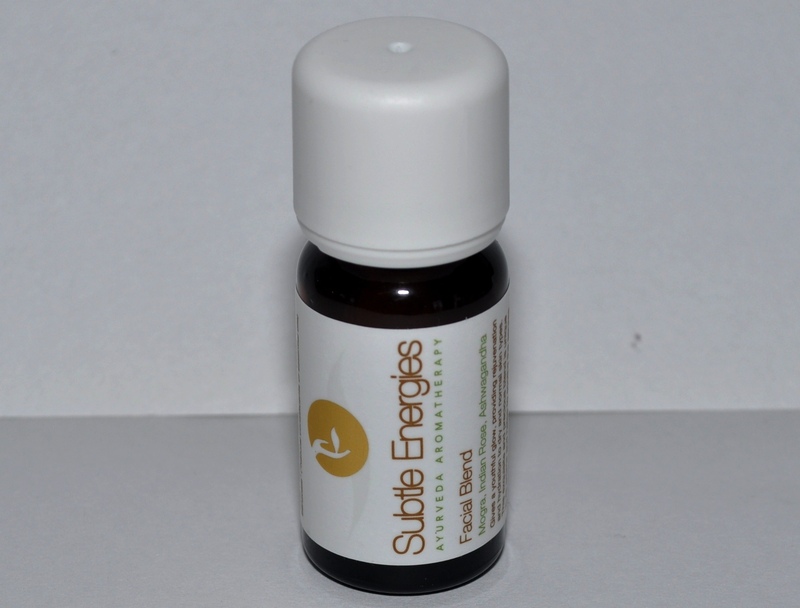 Sensitive skin prone to irritation will benefit immensely from the calming properties of this oil-free serum. You apply this evenly to your face and neck after cleansing and toning both morning and night and then follow up with your moisturiser. I’ve used this 3 times now and I like it so far. It’s a bit more gel like in texture and smells like vitamin c tablets. Certified organic and 100% natural, Rosehip Oil Antioxidant+ combines nature’s most powerful skin restoring and skin protecting properties in a unique and advanced formulation, RosapeneTM. Rosapene is a red berry seed oil blend, which provides daily antioxidant protection and intensive nourishment to replenish softness and elasticity for healthier, younger looking skin. 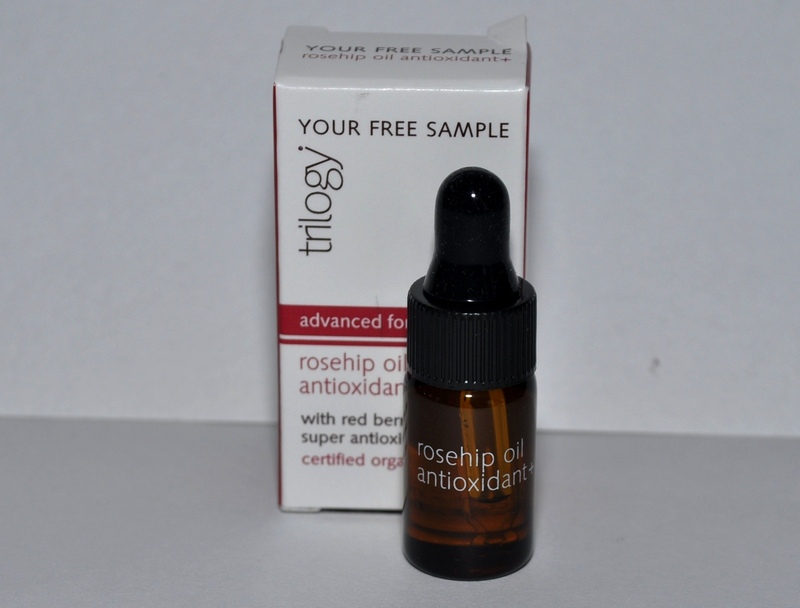 Potent super antioxidants lycopene from Tomato and phytosterol from Acai help protect skin from premature ageing caused by environmental free radical damage. Nourishing essential fatty acids (Omegas 3 and 6) from Cranberry and Rosehip moisturise and renew. Mineral and vitamin rich Oat extract provides a soothing and luxurious feel that glides on the skin. To use this you just massage 2-3 drops into cleansed skin on face, neck and décolletage ( I pretty much never remember to include my decolletage!). I haven’t tried this product yet but me and Rosehip go way back to my late teens when I had big chicken pox scars I need help healing. 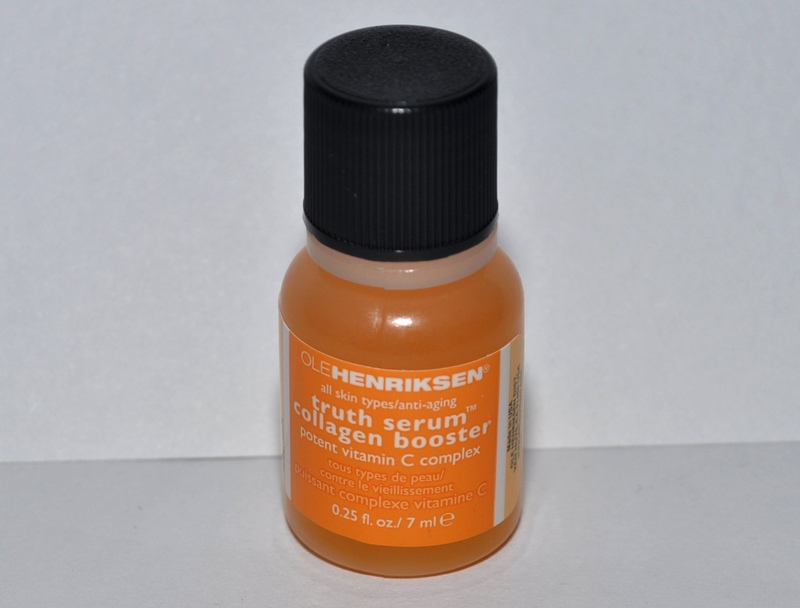 I only used to use this type of stuff at night as I found it a bit too oily to use under my makeup. 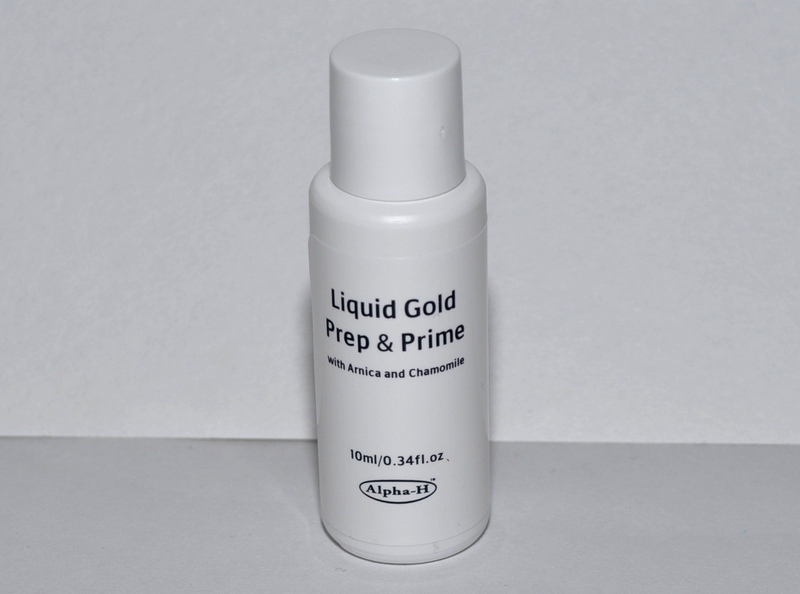 Liquid Gold Prep and Prime is the foundation of flawless, fresh-looking skin! This multi-action, water-based fluid leaves skin plumped and luminous, to provide the perfect canvas for makeup application. The unique mattifying formulation instantly absorbs into the skin, working at a cellular level to refine pores and dissolve cell build-up on the surface layer of the skin. The Liquid Gold Prep and Prime contains no filler ingredients with a 93% pure formulation made up of rich botanical extracts teamed with hard working Glycolic Acid to ensure the overall appearance of the complexion is enhanced. Smoothes, plumps and hydrates the skin. Diffuses redness and promotes a more unified skin tone. Improves the appearance of age spots, sun damage, pigmentation and Melasma. Reduces pore size, breakouts and post-acne scarring. This product is usually stage 1 in a 3 stage process and is meant to build tolerance to active enzymes and fruit acids whilst improving the appearance of fine lines, open pores and broken capillaries. You apply it each night using a cotton pad to cleansed face, neck and décolletage, avoiding the eye and lip areas. A tingling sensation may be experienced. You don’t follow with your night cream and instead allow it to work ‘uninterrupted’. Once you’ve used the entire bottle, you move onto stage 2. I purchased the 3 stage kit but it hasn’t arrived yet so I was glad to have this sample to try out. I’ve pretty much started purely using enzymye exfoliators in place of physical exfoliants so I love this stuff! This is the only product I have tried so far that actually feels like it’s working on my skin. I do get a bit of a tingling, cooling sensation on my skin but I haven’t had any reactions in the 3 days that I’ve tried it so far. I’ll definitely be doing a review of this set once I’ve used it for a while. Ideal as a daily facial moisturising oil or for facial massage. The Facial Blend gives a youthful glow, providing rejuvenation and hydration to dry and normal skin types. This exquisite and precious blend is unique in its aroma with the essential oils of mogra, sandalwood and Indian rose together blended in a base oil of jojoba and the fortifying oil of ashwagandha. The Facial Blend helps to soothe the senses and revitalise the appearance of damaged skin. I’d never actually heard of this brand before but the product smells amazing. Growing up in a Sri Lankan family, this product reminds me of my childhood for some reason probably because it’s the type of scent that I associate with religious events due to the strong (but natural) floral scent it has. I usually can’t stand floral scents in my skin care but this scent is really soothing because it doesn’t smell artifical. I haven’t tried it yet but I can see myself using it at night every now and again. That’s all the included serums and I can’t wait to try everything out! I think it’s such a great idea to have a pack of deluxe samples of serums that you can test out and gauge your skin’s reactions to before taking the plunge and putting down the big bucks for a full sized bottle. I love buying deluxe samples and try me kits for skin care and find it’s the best way to introduce yourself to a brand. Purchasing deluxe samples is how I decided that I liked the Estee Lauder Advanced Night Repair and Even Skin Tone Illuminator enough to buy full sized bottles of each. I’d highly recommend this pack if you’ve been eyeing off some of these serums like I had and don’t know whether they’re worth the price. You can purchase it online at adorebeauty.com for $29. You also get 10% off when you purchase any of the full sized serums included in the pack. Have you tried any of these serums? What are your thoughts? 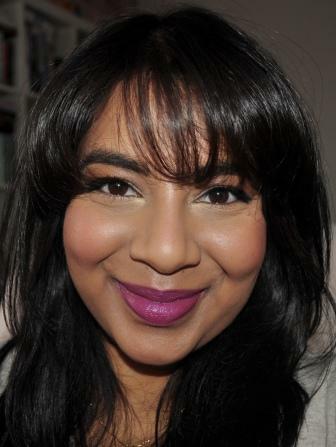 ← Welcome to the new and improved Bugs Beauty Blog!